Mildred Ramsey's Super Supervisor is a people skills training seminar needed by all front line supervisors. It is high impact, humorous, entertaining, and down to earth. Supervisors who experience the training are grateful for improved relationships at work and at home. CEO's, Presidents, HR Directors, and Corporate Lawyers value the strategic impact on their business....... especially the top to bottom improvement in morale, reduced tension in labor/management relations, and good will in the workplace. The Super Supervisor is the only management training program from the employee's viewpoint. 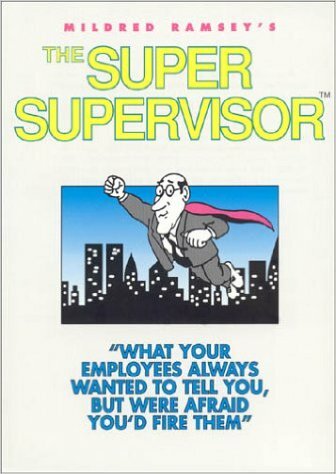 In her Super Supervisor book, live seminar and videos, Mildred teaches front line supervisors the people skills they need to connect with their workers and nurture good will in the workplace. After working 42 years as an hourly paid production worker Mildred knows the heartbeat of the worker and is uniquely qualified to teach supervisors "What your employees always wanted to tell you but were afraid you would fire them".........feedback supervisors need but rarely get from their workers. The Magic in using the "Light Touch"